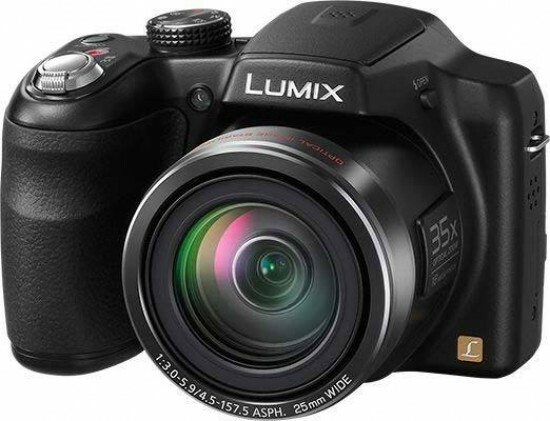 The Panasonic Lumix DMC-LZ30 is effortlessly easy to use because of its easy point and shoot approach. The controls follow a tried and tested formula that brings everything within easy reach of probing fingers. However, the Manual mode is available for anyone wanting to take their photography further and begin to understand about the fundamentals. The features of the Manual mode are extremely basic but the fact that they're there in the first place is a step forward. On the outside, the DMC-LZ30 is built very well. It's solid enough to hold, doesn't weigh much, has a metal tripod bush and battery door locking switch. Our discovery of hard chromatic aberration shows that the lens isn't in the same place, quality-wise. The screen also sticks out of the body slightly, which can be an indication of a cheaper unit being used. The image quality can either be summed up with one word, or we can give a longer, less crude opinion. The fact that the camera shows blue and red noise spots in our test is terrible. We even checked the sample images and they showed consistent results. This would be acceptable at ISO 800 or even 400 at a push. But to have such bad noise showing at ISO 100 is sub-standard. Aside from that, the LZ30 produces well exposed and sharp images. Although, the focusing is a bit slow. Once it's in the zone of finding the focus point, everything else has to wait.